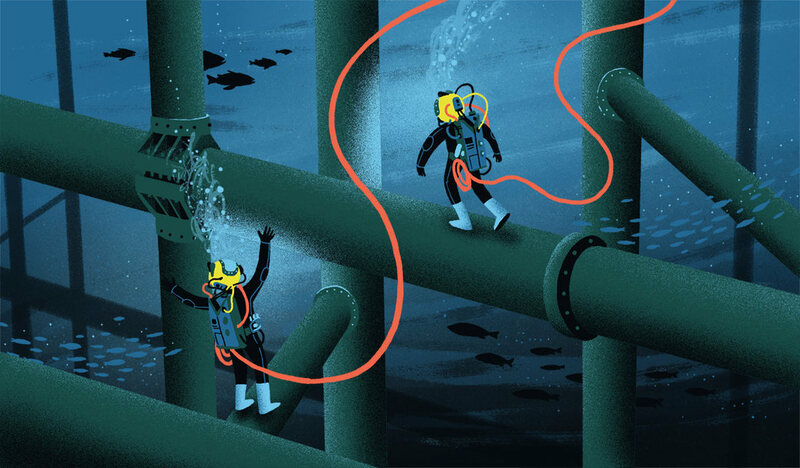 This is a fascinating look into the world of a saturation diver. Hovey works in one of the least known, most dangerous, and, frankly, most bizarre professions on Earth. He is a saturation diver—one of the men (right now they are all men) who do construction and demolition work at depths up to 1,000 feet or more below the surface of the ocean.